This year, two of our culinary management students have been invited to participate in the 2018 Laureate Culinary Cup, 4-6 June. The cooking competition features an exciting clash between teams from various Laureate institutions around the globe. The students will compete to fuse ingredients with gastronomical and artistic elements from their own culture and the traditional sophistication of high cuisine. In previous years, Laureate students from all over Asia, Europe and the US have completed, however, Australia has not be represented until now. 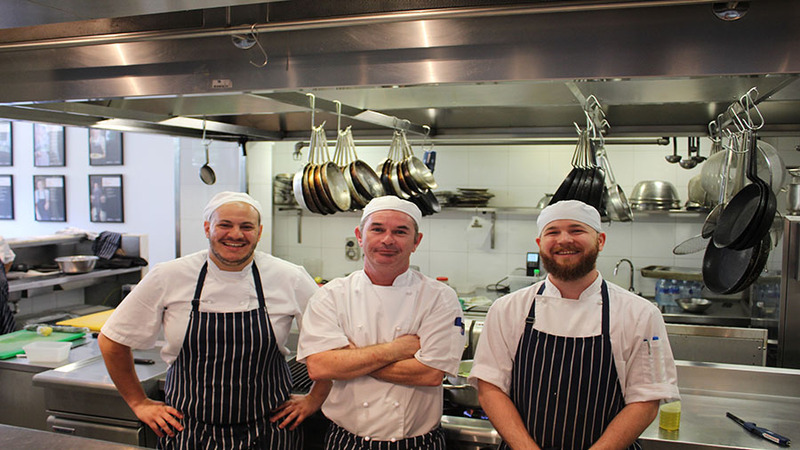 William Blue is sending two top culinary students, Dale and Isaac, guided by a brilliant coach, Jason Hannah, who boasts his impressive repertoire of experience. One of the students taking the trip of a lifetime is Dale who is studying a Bachelor of Culinary Management. Dale has a unique story, in that while he had a keen interest in cooking in school, his path took a slightly different direction, and he found himself in a social science degree. Upon completing his studies and commencing work in social science, he realised his real passion was in the kitchen. This led him to William Blue, and since starting study in 2015, Dale hasn’t looked back. He has worked in some of Sydney’s best restaurants, building his skillset in a variety of cuisines and techniques. Joining Dale in the William Blue team is fellow Bachelor of Culinary Management student Issac. Like that of Dale, Issac’s culinary story is also unique. In school he had an overwhelming passion for the culinary arts, however, before joining the William Blue family, Issac studied visual communication majoring in photography. Upon finishing his degree, Issac’s passion for food was only more prevalent, and he joined the culinary program in 2015. Issac not only brings an impressive collection of skills and knowledge to the table, but he also has brilliant leadership and teamwork skills. With two incredibly talented students, there was only one individual who fit the criteria for the coach, and that is Jason Hannah – William Blue’s Executive Chef and Applied Learning Manager. Jason brings over 25 years of culinary experience to the table and has been mentoring students at William Blue, both in the classroom and in William Blue Dining, for the last eight years. His wealth of knowledge and experience is invaluable, and so we could not have thought of a better candidate to guide our students on this journey. Over the past couple of months, Dale and Issac have been refining their menu, under Jason’s guidance, and with just over a week left until the competition, the end goal is in sight. As the first team to represent Australia, this is a massive deal for not only the team, but the whole William Blue community, and for that, we wish them the best of luck!